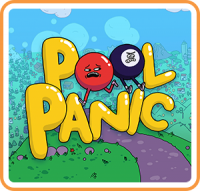 Pool Panic is more akin to a puzzle platformer than a billiards game, but it doesn’t fit neatly into any one genre. In fact, nothing about the game is tidy, which is both its greatest strength and worst weakness. 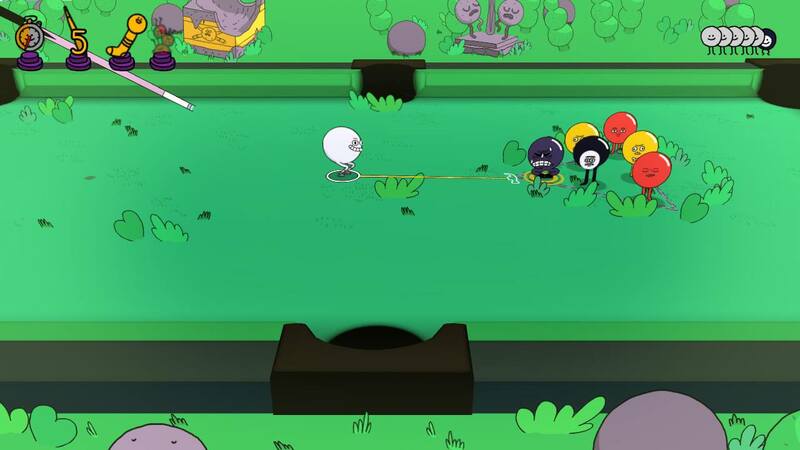 Playing as a cue ball, the goal is to hit enough balls into enough holes before sinking the eight ball. But the cue ball has legs and can walk around. And sometimes the other balls are ballerinas or spherical bears or a giant spider’s feet. And sometimes the hole is a cave or the mouth of a fish or a break in the ice of a frozen pond. And sometimes you’re skiing down a hill or riding a motorcycle or playing air hockey. No matter the form of the level, the goal is always the same—hit a certain number of balls into a hole, knock the eight ball in last, then dive in after it. 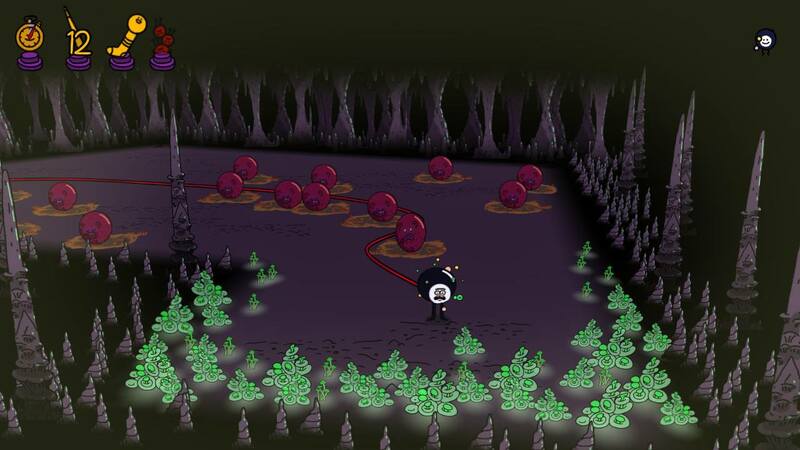 Some of the levels are fairly straightforward, relying on the many unique types of balls to create the challenge. 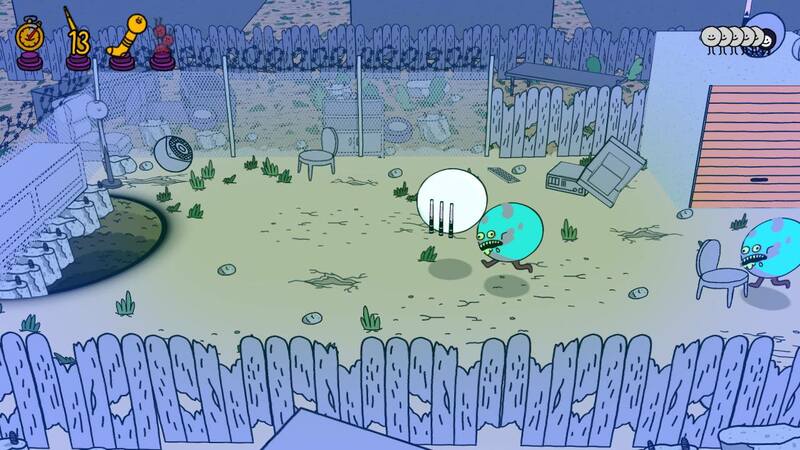 Skater balls will dodge unless you hit them indirectly with another ball, scaredy balls will scream and run away if you aim at them, bully balls will toss you if you get near, among many others. Other levels have a specific gimmick, like a marching band that needs to be led towards the hole by stealing the drum major’s hat, or a house that needs to be flooded by breaking a giant fish bowl on the top floor before unplugging the drain in the basement to capture all the balls. The absurd premise and tone carry it much further than the gameplay itself does. The art style is striking, and it looks great in motion. 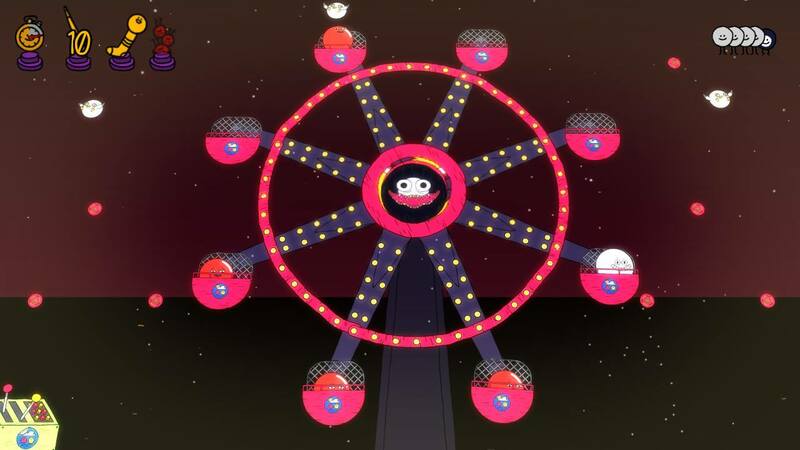 The music is bouncy, catchy, and often hilarious when it works in tandem with a level’s premise. The sound design in general might be the best part of the game, managing to be just as absurd as the visual design. When it comes to actually playing the game, however, the quality of the experience is wildly inconsistent. 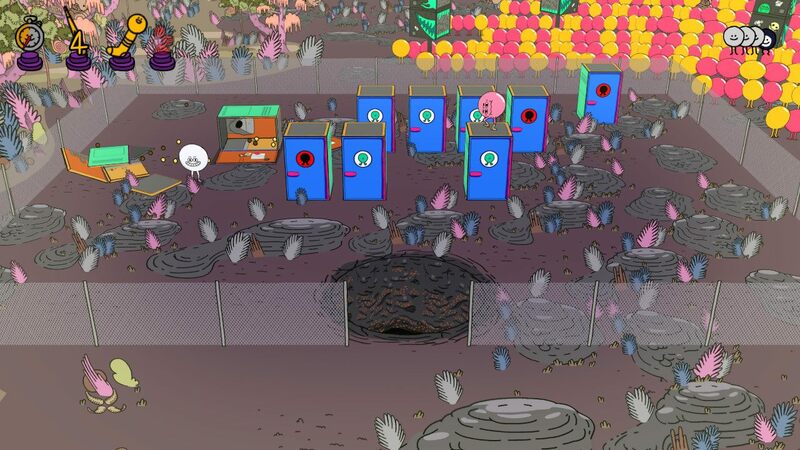 The most satisfying aspect of pool is lining up the perfect shot and executing, and the same is true in Pool Panic. Unfortunately, the ridiculousness of the level design often leads to chaos, with balls moving on their own (by design) and parts of the environment acting as hazards, so sitting still and lining up a shot is actually a rarity. The result is frantic, quick aiming while trying to move the cue ball to stay in line, and it gets frustrating more often than not. A zombie level with limited cue “ammo” is a better idea in theory than in practice. This problem is compounded by poor controls. When sitting still and aiming at an immobile target, everything works fine. The simple act of walking the cue ball around the level can be infuriating, though, since it moves in a wide arc when turning rather than going directly where the analog stick is pointed. In a game all about positioning, getting into position is much harder than it should be. Hitting the ball can also be finicky, since it requires a second or two of priming the cue stick in order to get a solid shot. Fire too quickly after aiming and the ball will dud, which happens often when things are frantically moving and you simply don’t have the time to wait. Each of the over 100 levels has four optional objectives—clear the level within a time limit, clear under a certain number of hits, clear without scratching, and sink every possible ball. These can add replay value, but some of the levels are just plain bad, and others are too frustrating to want to try for the optional objectives at all. I would rather have played 50 really good levels than 100 levels with such varying levels of quality. Only a few end up being really good, more end up being really bad, but the rest are somewhere in the middle, much more entertaining to laugh at than to actually play. 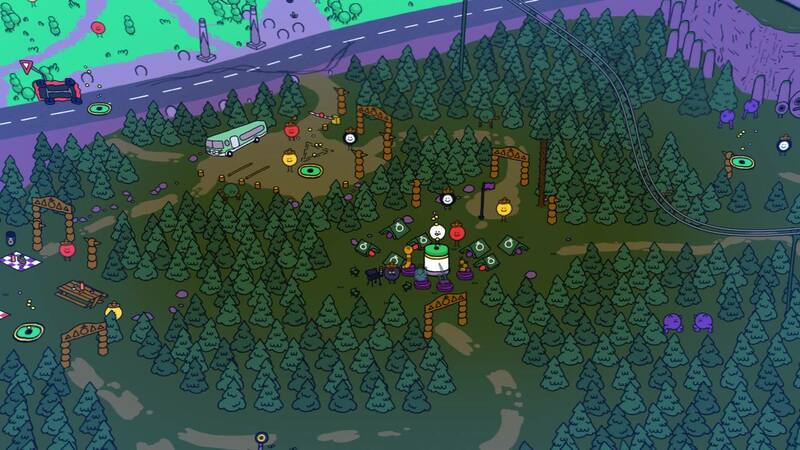 The overworld map is big and open, and it even hides some secret levels. 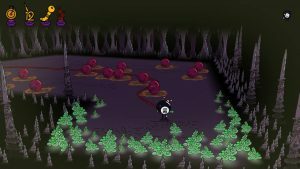 Completing enough levels unlocks a hard mode, but the only difference from the normal mode is that a ghost chases you in each level. Sit still for too long and the ghost will kick you out of the level. It’s not fun. There’s also a versus mode for local competition and a basic infinite mode that plays out on a normal pool table with randomly generated ball configurations. Both modes are fine, but neither offer enough for me to want to play them over the main game. 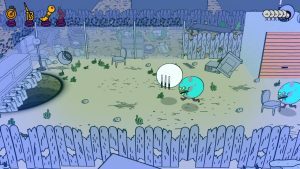 I wish I could give a stronger recommendation because the vibe of Pool Panic is so good. If you know what you’re getting into, however, it can be a fun enough ride for $15. Just expect a lot of surprising laughs and almost as many yells of frustration. A digital copy of the Nintendo Switch version was provided by the publisher.